Please note an upcoming change to our normal business operations. During the dates listed below, we will not be accepting props for service. However, you may continue to call the business phone and leave a message. We will return calls when normal business hours resume. Mark’s High Performance Propeller was established in 2003 by Mark Croxton as a fully custom boat propeller repair service. “Mark’s Props” is owned and operated by Mark and his wife, SaVonna, at their home in Shelbyville, Indiana. Mark services and repairs each propeller by hand to meet customer specifications. 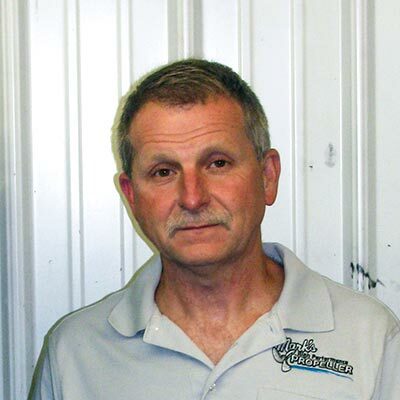 With over 40 years’ experience in the boating and propeller industry, Mark personally ensures that each serviced propeller exceeds industry-standard quality to satisfy his high expectations. Mark has provided fast, cost-friendly and effective service on all of my props. His dedication to customer satisfaction is unrivaled. Mark goes out of his way to help everyone he can. His propeller work is second to none. The performance gains are awesome. I recommend Mark’s High Performance Props to everyone that asks about repairing or working a prop. His work is first-class. His turnaround time is by far better than anyone I have used prior to finding Mark, and his prices are very fair. Ready for Mark to repair your prop?